Did you know this is the best time to get back to basics? With the next couple of months being rather cold, we'll spend most of our time indoors. Make this "in-between" time; time well spent. By planning our core wardrobe and clearing out the clutter now we can start enjoying better style and have a plan in place before spring arrives. 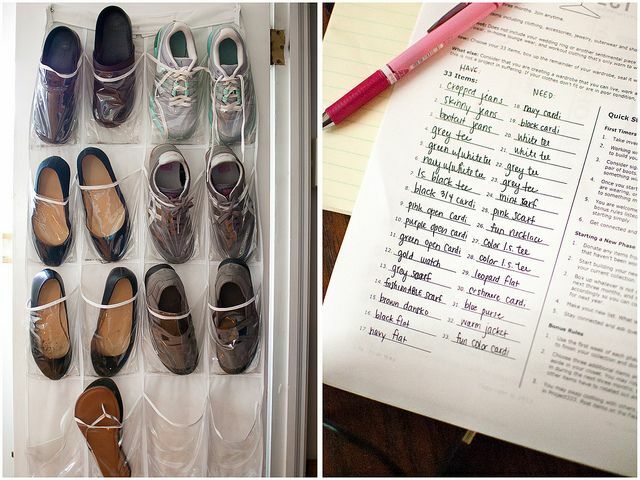 Let's use this valuable time to organize our closets and wardrobes. This week at MissusSmartyPants: we create are own wardrobe master plan. WHY? Because the secret to a truly successful stylish woman starts with the right basics. What basics should every woman own? 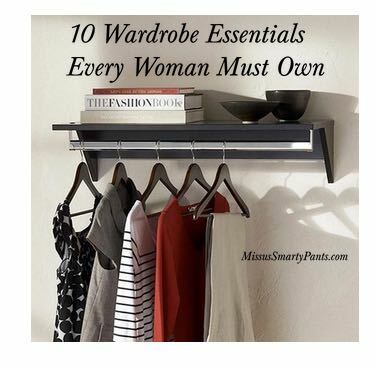 While it might vary from woman to woman, depending upon her lifestyle, there are 10 wardrobe essentials every woman must own in order to have a good core wardrobe. The right pieces help her create the most outfits using the fewest amount of clothes. This means, you can invest in better quality garments and maximize their use. It's budget-smart and offers you the best return on your style! This week you get the list of 10 must-have essentials that will take you from winter into spring! Look for this useful list in all 5 Personal Profile body types posting this Thursday! Stay warm and comfy (in your yoga pants and sweatshirt). Spend this time making wardrobe master plan of wardrobe essentials! Use this in-between time. Instead of begrudging this dreary time of year, let's use it to our advantage. This is the best time to create a master wardrobe plan! Just like you plan your spring garden when the weather is snow and frozen tundra outside; this is also the best time of year to plan your wardrobe. Examine what you have in your wardrobe...piece by piece. What really makes up your wardrobe anyways? Do you have a lot of clothes, or not many? What are you still missing from the basics list? What do you wear almost daily? What don't you wear--and why? Ask yourself these questions as your go through your closet, item by item. Make this in-between time and plan the best wardrobe ever. What are the wardrobe essentials for every woman? This week: the list of the 10 best essentials to make your wardrobe the most stylish its ever been! ORDER your Personal Profile & Start Your Journey of Improved Style Today! Got closet clutter? I thought you might say "yes". So do I, and I've doing nothing until now to clean up my closet. With the buzz of holiday activities, we often neglect our closets and they get out of control. With no time to keep things in order, we let the mess pile up. This week, slowly start to cull through your clothing racks, shelves and drawers. Release the clutter--then organize the rest. What do you have left? 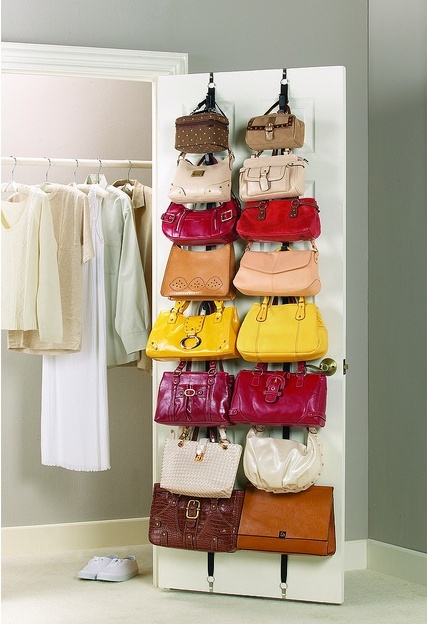 How do you store items in your closet? Do you need to replace your hangers so everything hangs neatly and uniformly? This week's Style Mission: Store your accessories and clothing--creatively! How about tying long scarves around a shower curtain tension rod? This clever idea will cost ya NOTHING!!! 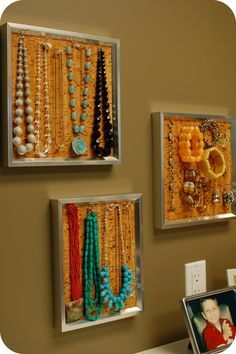 Yet, twine and cup hooks make an effective display for your hook earrings! Every morning you will visit a happy place as you start your day! Now I have been shopping my 'expanded closet'. Mixing 'old' and 'new' in ways suggested by you while weeding out things that are not suitable for my body type, has made getting dressed become a creative, money saving and quite satisfying endeavor. It makes me want to take some time to put on a bit of make up too so I feel confident even when worried or tired etc. The result is that getting many compliments has boosted my morale!!! I am having fun and happy that others are cheered up and maybe inspired by my choices. I do make sure to let them know about your site and hope many have subscribed. I am even getting optimistic that I will be able to work out a very successful, prosperous outcome soon. Thank you so much for what you do and for sharing it with all of your Style Systers!!!! PS I have made wonderful clothing choices since subscribing to you service!!!! It's not always easy to keep black pants dark and looking new. Here are some tips that will help you… First of all, always wash them INSIDE OUT and in COLD water. Only tumble dry, if you must. It is best to line-dry (in the shade or indoors) black pants (and dark jeans) to keep the finish new. Cotton and other natural fibers tend to fade more quickly than synthetics. If fading happens and you still love the pants--try dyeing them with RIT black dye. You can use a large plastic bucket or the washing machine. (follow the package directions). Soon you will have like-new black pants again! I've subscribed to your Personal Profile for about two years now and want to share with you another way I utilize the weekly MissusSmartyPants Personal Profile. Before MSP, my wardrobe mostly consisted of dark, baggy clothes in hopes of covering up the fact I was overweight. Now, based on your wonderful advice, I'm proud to wear close-fitting clothes in a variety of colors that are good for me. I found another great way to use your weekly profile suggestions. I print out the last page, the "MissusSmartyPants Selects" which shows an outfit recommended by you that includes clothing, shoes, and accessories. I place the sheet inside a clear page protector, punch a hole in the margin, and hang my collection on a jump ring. I keep these hanging near my closet to give me great ideas for putting together an outfit I wouldn't think of doing myself. I'm currently in a weight loss program and have lost about 10 lbs. The incentive behind my becoming healthier has lots to do with how I feel about myself since I've learned how to dress for my body shape and size! So thank you for that. I've had lots of fun mixing and matching different outfits rather than being in a rut. Thanks so much for all your great advice and encouragement.